Many women, at some point in their life, may need gynecologic surgery, whether it’s to remove a polyp or get a hysterectomy. Both minor and major surgeries can be a nerve-wracking experience. Women’s health expert Dr. Pamela Gaudry, MD, NCMP, FACOG, at the Georgia Center for Menopausal Medicine understands. She performs a number of specialized surgical procedures for women in a caring and compassionate environment. For more information, call her Savannah, Georgia, office or book an appointment online. How do I know I need gynecologic surgery? When you come in for your routine gynecologic examination, Dr. Pam completes a thorough physical and pelvic evaluation, which includes a discussion of any health concerns you may have. During this routine exam, Dr. Pam may find an issue that requires further investigation or surgery. For example, during a pelvic examination, Dr. Pam may find a uterine polyp or a vulvar lesion that needs to be removed. Or, after prolonged heavy menstrual bleeding that both you and Dr. Pam have been monitoring, you both come to the conclusion that a hysterectomy is your best option. Surgery is never taken lightly and Dr. Pam always discusses all of the available options with you before recommending an invasive procedure. 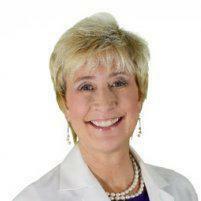 Dr. Pam conducts all of her surgeries at Chandler Hospital or Memorial Health in Savannah, Georgia. What is a minor gynecologic surgery? What is a major gynecologic surgery? Dr. Pam has the skills to perform any open abdominal surgery you may need. Whether major or minor, you’re going to need some time to recover from your surgery, usually a few weeks to a few months. Dr. Pam provides individualized treatment and recovery plans for her patients so you’ll know what to expect before, during, and after the procedure. During the recovery phase it’s important to follow-up with Dr. Pam as scheduled so she can monitor your healing and recovery and make changes to your treatment plan as needed. For more information about surgical options at the Georgia Center for Menopausal Medicine, call or book an appointment online.